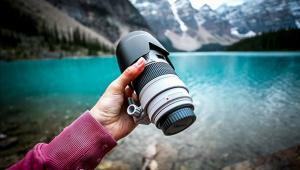 Considering the many D-SLRs that are introduced each year, it's no surprise that virtually every lens manufacturer is also expanding its line of new products. 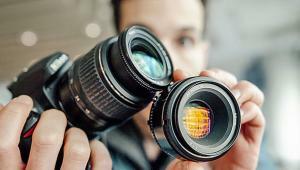 That includes both digital-only lenses--for cameras with a typical small sensor--and multi-platform lenses suitable for any SLR. The latter are particularly important now because of the increasing number of D-SLRs with a full-frame sensor, including a Sony model to be released later in 2008. 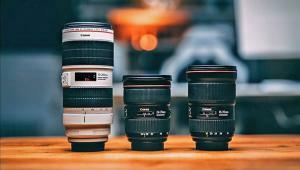 On the other hand, the smaller digital-only lenses remain popular because they're more portable and sometimes, less expensive. They're really ideal for anyone who owns a D-SLR with the APS-C size or Four Thirds sensor, by far the most common formats. I also noted several other interesting trends. 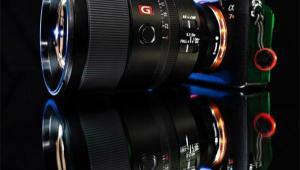 First, there has been a growth in the number of lenses equipped with ultrasonic focus motors and/or with Image Stabilizers. It's also worth noting that some of the independent-brand Nikon mount lenses are being equipped with the focus motor that's essential for autofocus with the D40/D40X and D60. And as Olympus, Pentax, and Sony aggressively develop their D-SLR lines, we're seeing more lenses in mounts for these brands. Several existing lenses are now available in additional mounts, including two of the Sigma II EX DC HSM-series models: the digital-only APO 50-150mm f/2.8 II for Pentax and Sony/Maxxum and the APO 70-200mm f/2.8 II in those mounts and also in Four Thirds. 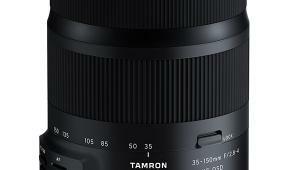 Tamron is now making a Pentax AF mount version of its highly-rated SP AF17-50mm F/2.8 XR Di II LD Aspherical IF zoom. 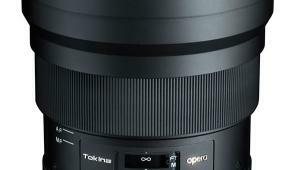 Existing Nikon-mount lenses that have been updated with a focus motor include Sigma's 18-200mm f/3.5-6.3 DC and Tamron's AF18-200mm F/3.5-6.3 XR Di II, SP AF17-50mm F/2.8 XR Di II, and AF70-300mm F/4-5.6 Di LD Macro 1:2. 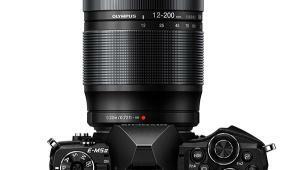 Although current Olympus, Pentax, and Sony D-SLRs are equipped with sensor-shift stabilizing devices, Canon, Nikon, and Panasonic continue to rely on lens-based Anti-Shake systems. 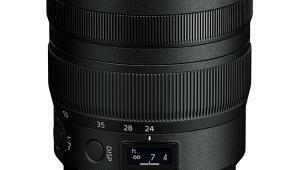 That's why we're still seeing new lenses such as Sigma's (digital-only) 18-125mm f/3.8-5.6 DC OS HSM with the company's latest Optical Stabilizer (OS), said to offer a four shutter speed step advantage over the non-stabilized model. A versatile zoom, it's also compact (72mm filter size) and quite affordable (under $500, estimated MSRP) considering the OS system, Special Low Dispersion (SLD) and aspherical elements, super multilayered coating, and ultrasonic HSM (Hyper Sonic Motor) autofocus system. 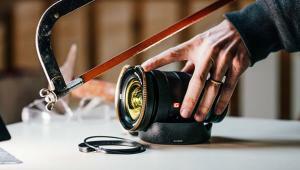 This lens is available in Sigma, Canon, Nikon, Pentax, and Sony/Maxxum mounts but the OS device will not function when it's used on any Pentax or Sony camera with a shake reduction system. Note: Owners of Pentax D-SLRs should also be aware that the K100D and the (discontinued) *ist D series of cameras cannot autofocus with any ultrasonic AF lens of any brand. 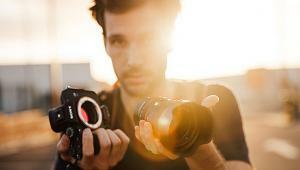 That limitation does not apply to the newer Pentax models: the K100D Super, K10D, K20D, K200D, and future D-SLRs. A fine alternative to an inexpensive 18-55mm kit lens, Nikon's new (digital-only) AF-S DX Nikkor 16-85mm f/3.5-5.6G ED VR zoom ($650 MSRP) offers greater versatility and image quality; it's also equipped with the latest Vibration Reduction (VR) stabilizer. The new VR II system is said to provide a four shutter speed step advantage to minimize the risk of blurring caused by camera shake. This is a high-quality lens with (ultrasonic) Silent Wave Motor (SWM), two pieces of Extra-low Dispersion (ED) glass, three aspherical elements plus Super Integrated Coating (SIC) to minimize flare and ghosting. The rounded seven-blade diaphragm opening gives out-of-focus background elements a more natural appearance. This zoom is quite compact (67mm filter size) and not very heavy (17 oz) in spite of the VR system and rugged construction. 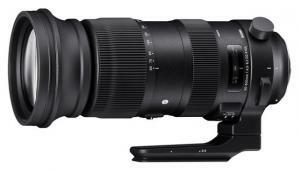 A multi-platform telephoto with most D-SLRs, Sigma's heavy (67 oz) APO 150-500mm f/5-6.3 DG OS HSM zoom will often be mounted on a tripod using the included accessory. 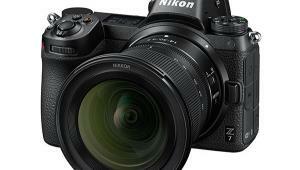 Even so, it can be used handheld so Sigma has incorporated their Optical Stabilizer in the barrel. That device is said to provide a four shutter speed step advantage, very useful because the maximum apertures are quite small. This is an impressive lens ($1200 estimated MSRP) in other respects, too, including three SLD glass elements and rear (internal) focusing to provide optimum image quality. Super multilayered coating reduces flare and ghosting while the ultrasonic HSM motor provides high-speed autofocus with a Canon, Nikon, Pentax, Sony, Maxxum, or Sigma D-SLR. The Image Stabilizer system in the current Canon pro lenses is effective when the equipment is mounted on a tripod, making this a logical feature with the new multi-platform EF 800mm f/5.6L IS USM telephoto ($11,999 MSRP). As you might expect, this moisture- and dust-resistant lens--with a magnesium-alloy barrel--incorporates all the best of Canon's latest technology, including fluorite and UD elements for superb image quality. 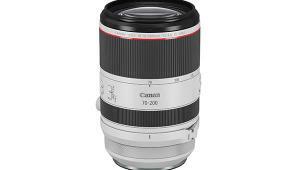 All of that also applies to the similar EF 200mm f/2L IS USM telephoto ($5999 MSRP) designed for low-light photography; other benefits include close focusing to 6.2 ft and a circular aperture system that enhances its background blur rendition. 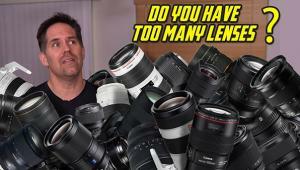 Although zooms with small maximum apertures are fine for most picture taking, lenses with much wider apertures are still being developed, including some covered in other sections of this report. Pentax recently discontinued many of its multi-platform lenses but has replaced some with digital-only models, exclusively for D-SLRs with the APS-C size sensor. 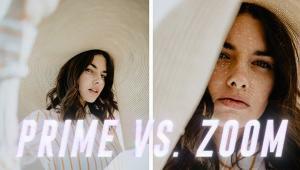 Their "fastest" new models are the DA* 200mm f/2.8 ED [IF] SDM and the DA* 300mm f/4 ED [IF] SDM, both weatherproof and equipped with the ultrasonic SDM (Supersonic Drive Motor) AF motor and ED elements. 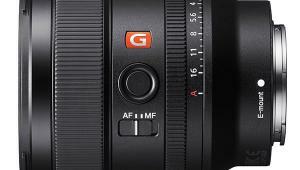 As a bonus, the Pentax "Quick-shift Focus System" feature allows for manual focus at any time while in AF mode. This internally-focusing duo ($1099 and $1299 MSRP, respectively) also benefits from Super Spectra multilayered coatings.